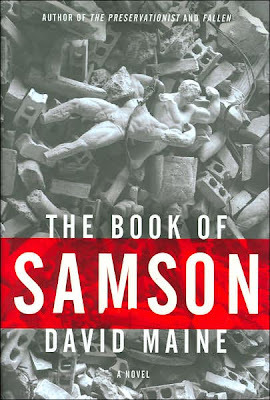 I can't remember a US or UK edition of David Maine's fiction drawn from the Bible that hasn't been interesting. (I'll try to find some time to post some others). 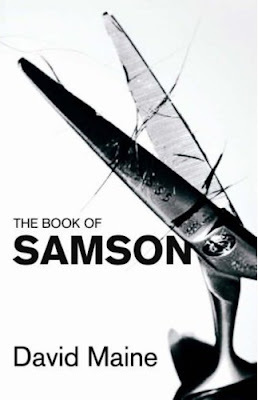 I love the different approaches here: first, the UK edition, which goes for Samson's hair; then, the US version, depicting the aftermath of Samson pulling down the temple. Both of these are winners. Hm. Now why does the US version have 'A Novel' and the UK version left it out? I must say that 'A Novel' is a huge pet peve of mine, but I merely work in magazines, so what do I know. Personally, I've given up on the "A Novel" issue, unless it's particularly egregious. I think it's just the bone that you have to throw the marketing department.